Invest in the kids that are going to shape the future by giving them an environment that is conducive to their own discussion. Dynamism is a lifestyle: the mission is not one until the problem is solved. You have to set goals, and K4P has those goals at its core. Logan Crossley just joined Kids4Peace in 2013 as a counselor in Houston. 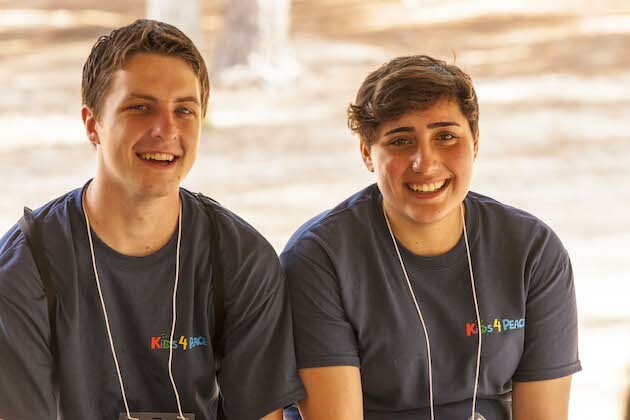 Originally from Dallas, and a first year student at UT-Austin, Logan says that K4P was the best camp of his life, and that he’s eager to continue. The first time he heard about K4P, he knew it was something he wanted to be involved in. With an aim to pursue Diplomacy in his academic career, this kind of hands-on peace work is a perfect fit. What Logan didn’t expect was to be blown away by the campers the way that he was. “Each one of them was wise beyond their years, and just so much fun to work with,” he remembers. It’s unfortunate that most Americans only tend to hear about the Israeli-Palestinian conflict when missiles are being fired, and when peace treaties are being broken. A lot of us don’t realize the day to day tensions between the opposing factions. K4P gave me a chance to hear about what it’s like to live there as a 12 year old kid—it was eye opening. What you learn with K4P is different than what you learn in a classroom setting. I take with a grain of salt the fear mongering tendencies of the media, only focused on escalation of war and conflict, and now I see more through the lens of innocent kids that have been impacted in every aspect of their life. The grassroots movement is gaining momentum, and that’s what I want. Kids would whisper things to me about other kids, judgmentally, and it was hard to tell if it was stemming from the conflict, or if it’s just kids being kids. We’re raising the next generation of leaders of our communities. They are going to return home fired up with a lot of the issues worked out in the discussion room that they can hopefully implement back in the community in a more on-the-ground type of approach. They’re inspired to try and make a change. 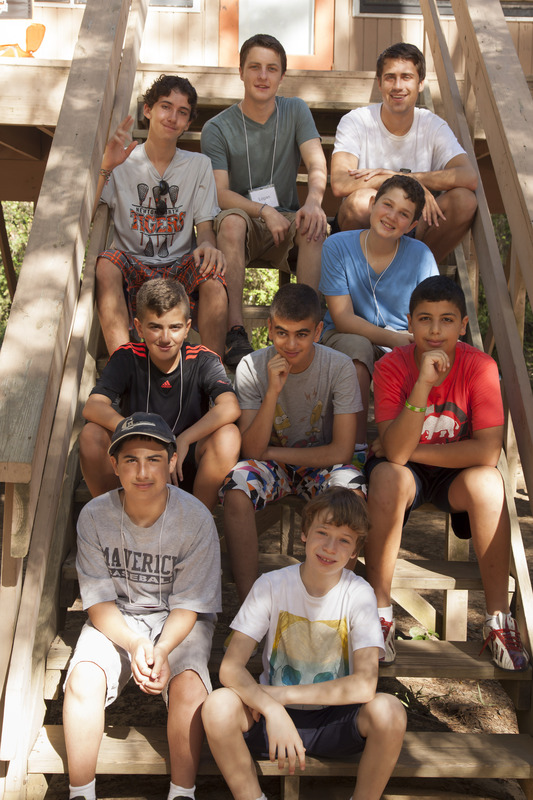 There was one camper whose English, while proficient, made it still challenging for him to express himself at times. Nevertheless, he would deliver these one-liners about deep topics where he just nailed it, short and sweet. He was wise beyond his years. I bonded well with the other counselors after the campers went to bed. Being a first timer with minimal experience, I had many questions about the conflict, and they had well articulated answers that demonstrated their deep thinking, discourse, and passion about finding a sustainable resolution. I envision a place where the campers can go deeper in the discussion too, while offering them a fun experience simultaneously. I came into college an international relations major. Having taken Spanish all through high school, Latin America or Europe looked like the two places I wanted to end up. I’ve been thinking about trying to pick up another language, and now I’m considering giving Arabic or Hebrew a try, and prioritize the Middle East, specifically Israel, in my academics. I’ve thought a lot about what we did, and what I’m excited to do in the future, and the broader mission in general. It’s really significant. What goes on over there is something that we as a country have a vested interest in. It has opened up my mind to looking beyond what seemed to be the easiest default path, and to look to regions where the situation is more urgent. K4P was a great exercise in empathy. Even people who have deeply rooted hatred and animosity toward each other tend towards peaceful solutions when they see things from a more objective point of view. That’s why I think an outside voice—American, in this case—is so important. I’ve told quite a few people about my experience, and I’m excited to tell them about where the organization is headed as well. Nobody here had heard of it, but should awareness be disseminated, I think people will get fired up about it. The mission of K4P isn’t just to go back to your community with more knowledge than you had, it’s to go back and inspire a change on the ground.